In most sports the champions of a cup get to keep it. For example NFL champions keep the Lombardi Trophy. However, the Stanley Cup is unique and NHL champions don't get to keep it forever. But do they receive a replica of it to display? According to this article, 22 Things You Might Not Know About the Stanley Cup, there is a "Keeper of the Cup" who accompanies the Cup (presumably the Presentation Cup used today - as the other two are specifically used for display at the Hockey Hall of Fame) wherever it goes. Do Stanley Cup Champions get a replica of the cup [to display]? No. However, the NHL grants the Stanley Cup winning team 100 days with the Cup during the off-season, accompanied by the Keeper of the Cup. In 1994-1995, the New Jersey Devils established the tradition of giving each player on their team one day with the Cup during the 100 day time frame. Yes, they do. All major sports give the winning team their own replica of the champion's trophy. There's a picture of a former Oilers (Ranford?) goalie with his 2 replicas. Their about 2 feet tall, with the team's player's names engraved on it, as is the coaches and owner. Out of the big 4 only 3 sports gets a trophy and only one. That goes to the owner. With the exception of NHL. As stated above about the cup. This why the players in all 4 sports get rings. There are no replicas awarded to players or coaches ect. However the players can custom order a replica from its maker or someone that specializes in sports awards. They aren't cheap. But pro sports players can afford it. The most expensive trophy other than the cup is the WS trophy. Ben Z now with Cubs got one for the KC WS. Not sure if he got another for the Cubs. Several Denver players also had Super Bowl Trophies done. They are exsact to the real deal but made of Nickel not sterling silver like the originals. But they have to pay for it. The league does not award them nor gives them to players so who ever said they did they are wrong trust me I know. Hope that helps. Not the answer you're looking for? 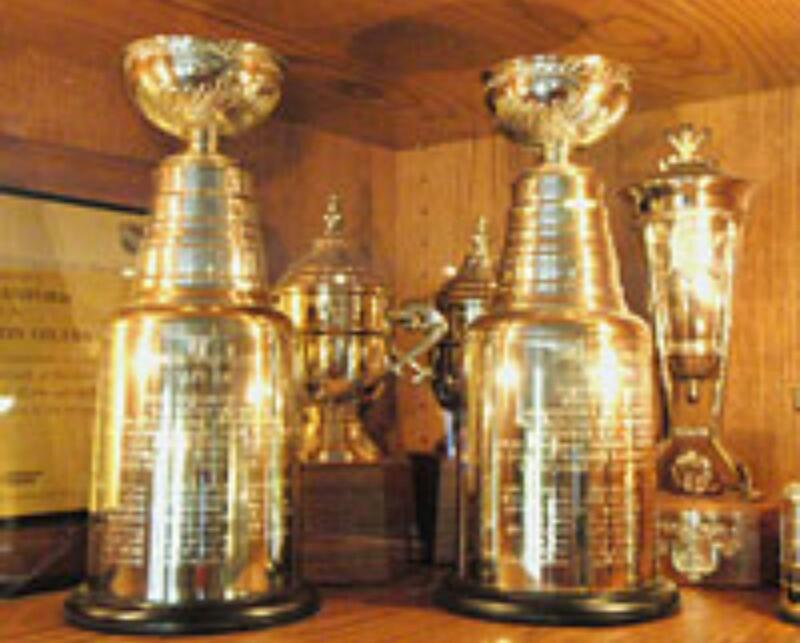 Browse other questions tagged ice-hockey nhl awards stanley-cup or ask your own question.